Biotech firm Kite Pharma, Inc. is a Gilead Sciences company focused on developing immunotherapies to cure cancer. 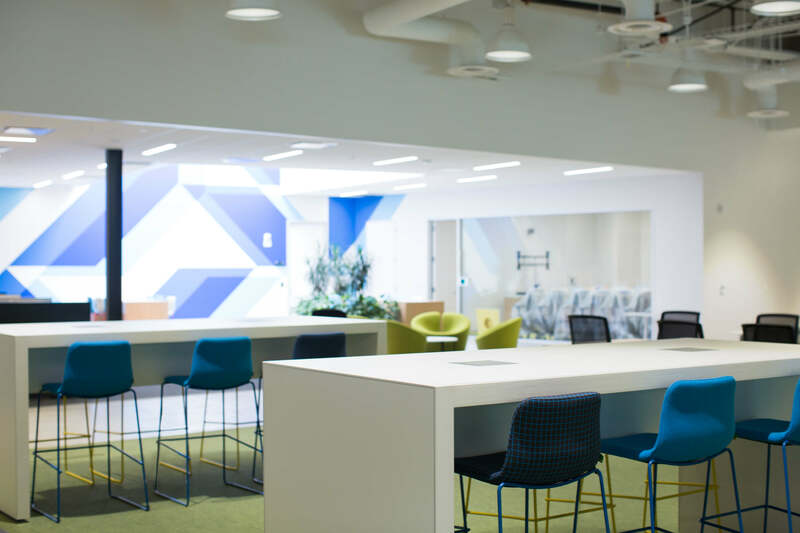 To accommodate their growth, they added 60,000 square feet to their El Segundo, CA campus. This additional space supplements their 43,500 square foot state-of-the-art manufacturing and R&D facility next door. 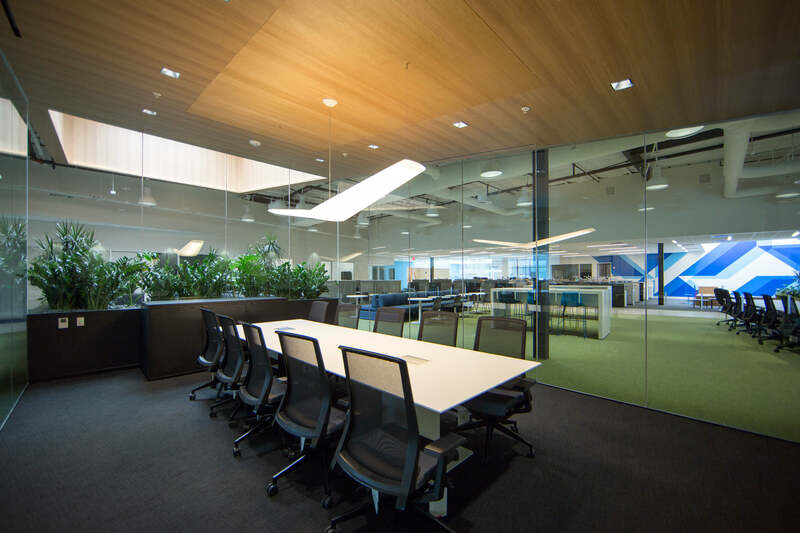 The project included workspace design and specification. 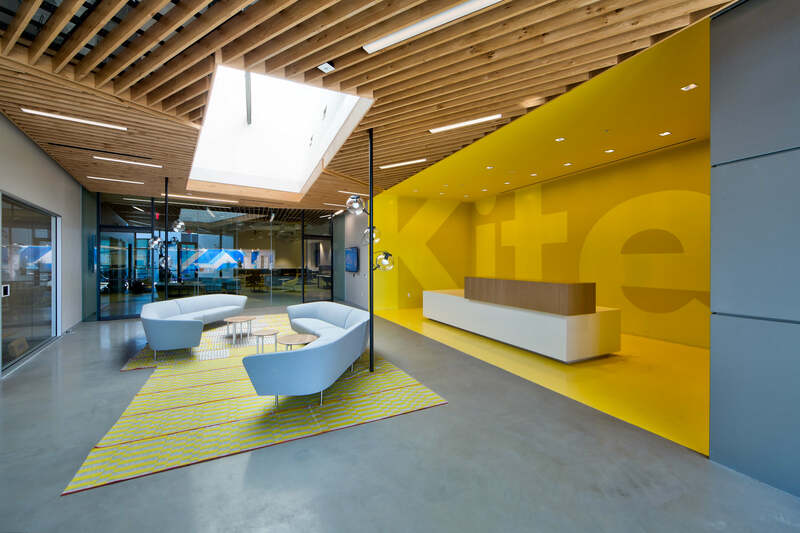 Kite Pharma tapped Unisource Solutions to design workspaces that power productivity and improve communication, problem solving and innovation. 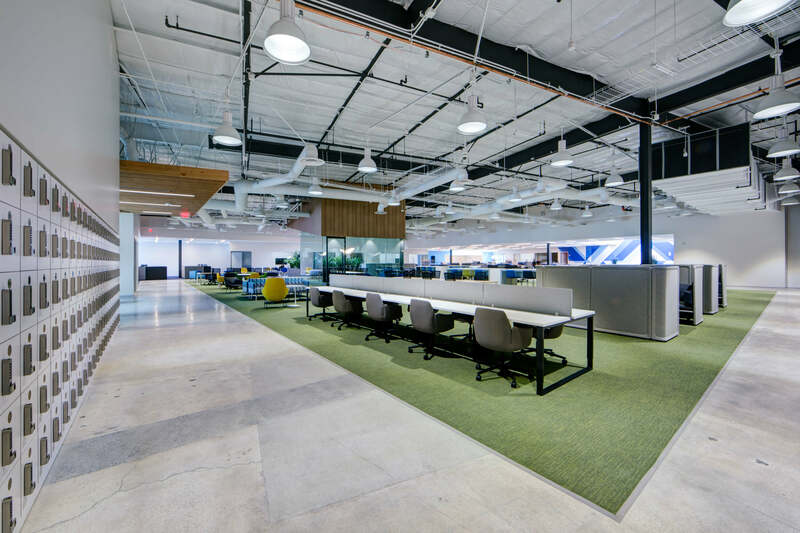 Located in a single story industrial building, the new space features a completely restructured open office design. High ceilings let in natural light. An indoor outdoor approach encourages collaboration and enhances mobility among staff. Biophilic design elements promote wellness. Bright colors and environmental graphics create a sense of space. 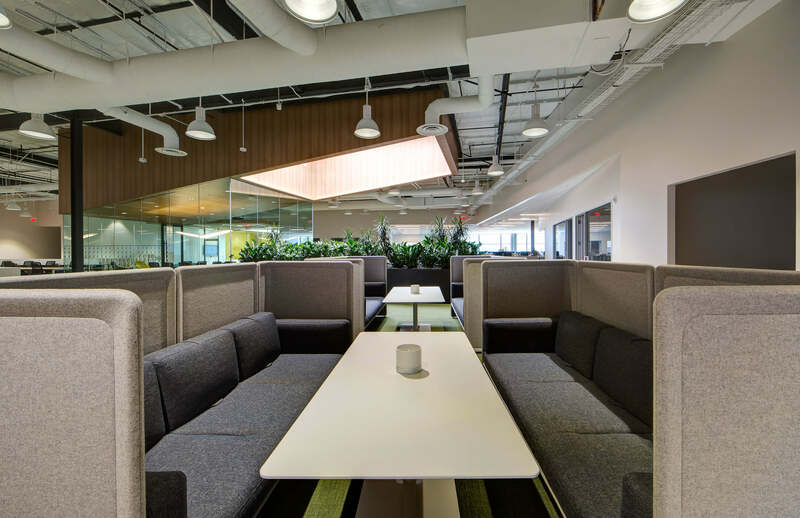 Our team provided workspace design and furnishings for 168 assigned workstations and 112 free-address ones. We furnished lounge areas, formal and informal conference rooms, training and huddle rooms. We helped outfit the cafeteria and event space. To make a statement in the lobby, we specified modern couches and a patterned modular rug. Our design incorporated nature-inspired decor from plants, stone, and wood, as well as interesting textured surfaces. The result is a pleasant environment that fosters creativity and productivity. Whether you need renderings or mock-ups to develop and refine the workstation concept, cost effective warehousing or effective reuse of furniture, Unisource Solutions can help. Contact us for a complete list of workstations and furniture specified for this project or for a free consultation to learn how we can help you with your specific project needs.